Last year proved to be the most successful year of my career thus far, but it also proved to be the most demanding and draining year emotionally and mentally. I can't begin to explain what the continued support means to me as I travel this new journey to health. After suffering a debilitating back/hip injury last year I have learned not only the importance of perseverance, but the mental and emotional strength it takes to be able to do so. Welcome to my journey, I hope that my growth along the way will remind you the importance of believing in yourself. Thank you! Life as an aspiring Olympian is exciting...and quite challenging. I know that my success is dependent on both my personal drive AND on the support of others. Thank you for being a part of my journey. 15% of funds received will go to the Alzheimer's Association. Born and raised in Michigan, Tia attended East Kentwood H.S. prior to the University of Oklahoma. 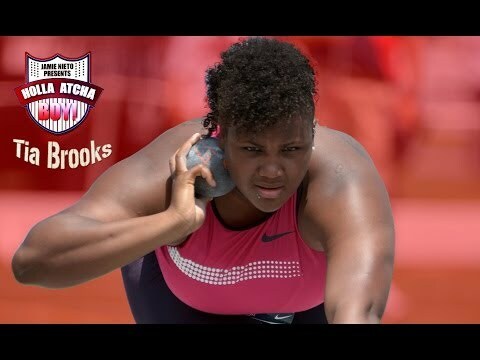 While competing for the Sooners, throwing the Indoor and Outdoor Shot Put, Tia become one of the most decorated athletes in school history. She is the OU record holder (indoor and outdoor), the NCAA indoor record holder, NCAA Championship meet record holder, and in her junior year, she earned a spot to compete with Team USA at the London Olympic Games. Her story becomes even more incredible when you learn that during a weight lifting session her freshman year, her legs went numb and she was eventually diagnosed with a degenerative disc disorder, two bulging discs, and a narrowing of the spine. After a year of rehab and strength training, she returned stronger than ever! Tia did not always find track and field as her passion. 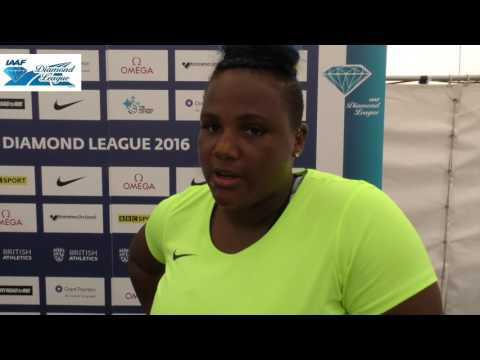 She came from a single-parent home and shot put was used as a means to get into college; however, throughout her time at OU, she fell in love with the sport and now hopes to be a coach one day. Tia is always willing to have fun while at competitions, and her best moments were shared with other throwers with whom she built great friendships. 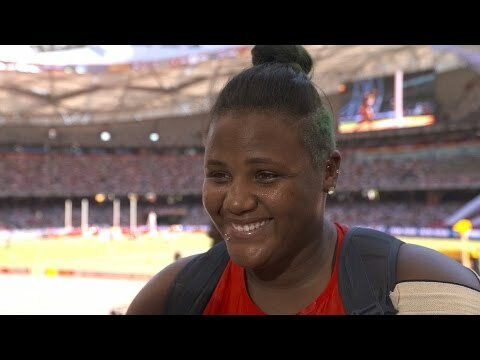 She genuinely loves people, and at one point thought she was 'too girly' for shot put, but this fashionista found that being strong is beautiful, and wants to share this with future generations of young girls to also find passion in track and field.